TUCSON, Ariz. — Lake Travis H.S. (Austin, TX) remains No. 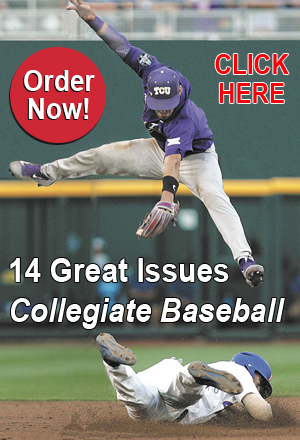 1 in Collegiate Baseball’s National High School Poll with a perfect 21-0 record. The Cavaliers continue to roll through their schedule led by an outstanding pitching staff that boasts a microscopic 0.97 team ERA. Leading the staff is Blake Helton (5-0, 0.41 ERA, 24 K, 7 BB, 34 IP), Jimmy Lewis (3-0, 1.18 ERA, 22 K, 6 BB, 23.2 IP) and Harrison Babbitt (4-0, 0.73 ERA, 13 K, 5 BB, 19 IP). The Cavaliers feature a .320 batting average which is led by CF Carlos Contreras (.436, 6 2B, 3 3B, 1 HR, 20 RBI). No. 2 Calvary Christian (Clearwater, FL) continues to dominate its schedule with a 18-0 record. They have extended their win streak to 48 in a row dating back to the first game of 2017. The Warriors are led by a pitching staff that has posted a 0.49 team ERA. Top pitchers are RHP Braden Halladay (6-0, 0.25 ERA, 24 K, 10 BB, 28 IP) and LHP Nolan Hudi (6-0, 0.19 ERA , 54 K, 7 BB, 36 IP). The team is hitting .368. No. 3 Valley Christian (San Jose, CA) posted a 16-1-1 record after recently winning the National Classic title in California. Valley Christian went through the tournament undefeated, defeating Mission Viejo (CA), 2-1 for the championship. No. 4 Cleburne (Cleburne, TX) posted a 21-1-2 record and is 8-0 in district play. The pitching staff has nine shutouts. Top pitchers are Landon Cody and Willie Rangel. No. 5 St. John Vianney (St. Louis, MO) is 10-0 to start the season. Five of their 10 games have been shutouts, and they have outscored opponents, 69-12. Vianney is currently 3-0 in the Midwest Classic which was suspended due to weather. The rest of the games are expected to be rescheduled. No. 6 Riverdale Baptist School (Upper Marlboro, MD) has won 12 straight games enroute to a 17-1 record. The Crusaders won the Southeastern Baseball Classic held in South Carolina, going 4-0 and beating Paul VI (Fairfax, VA), 2-0 in the championship game. No. 7 Pleasure Ridge Park (Louisville, KY) has a 6-1 record and is ranked No. 1 in Kentucky. All but one game so far has been against out-of-state competition. Garrett Schmeltz struck out 12 against Conway (S.C.) for an 8-3 victory. No. 8 Argyle (TX) rolled to a 22-0 record and remains the only undefeated team in the Texas 4A division. The team has posted 14 shutouts. In a recent 2-1 win against Krum (TX), the Eagles relied on a strong pitching effort by Sean Bolin who went all 7 innings, allowed six hits, one run and struck out six. No. 9 Mira Costa (Manhattan Beach, CA) is 15-1 and recently won the Righetti Tournament. Their only loss has been by one run against Gahr, 4-3. No. 10 Bellarmine College Prep (San Jose, CA) is 15-2 after winning the Boras Classic North title. The Bells went through the tournament undefeated and beat Franklin (Elk Grove, CA), 3-2 in 8 innings during the championship game. No. 11 McAllen (TX) is one of the top teams in Texas 5A with a 20-1-1 record. They currently have an 11-game win streak. Sophomore pitcher Aaron Nixon tossed a 7-0 shutout over La Joya (TX). He needed only 68 pitches to strike out 15 batters in 7 innings. He started the game throwing nine straight strikes to fan the first three batters. Blessed Trinity (Roswell, GA) is No. 12 with a 22-2 record and No. 1 ranking in Georgia 4A. They have beaten nationally ranked Parkview (Lilburn, GA) and Providence School (Jacksonville, FL). No. 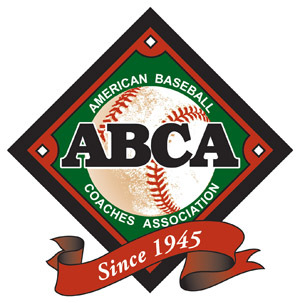 13 Seton Catholic (Chandler, AZ) has an 18-1 record that includes four wins in the Coach Bob National Invitational over Alamosa (CO) 11-1, Pueblo Central (CO) 24-3, Aztec (NM) 6-4 and Prairie Grove (AR) 7-1. No. 14 Huntington Beach, CA posted a 16-3 record. They have won 16 of their last 17 games. In the Boras Classic South, they went 3-1 with wins over Sherman Oaks Notre Dame 4-2, Vista Murrieta 6-5 and Cathedral Catholic 9-0 before losing to South Hills 3-2. Sam Houston (Lake Charles, LA) is 25-3 and dropped to No. 15 after suffering recent losses against Barbe (LA) 2-1 and New Iberia (LA) 4-2. No. 16 Providence School (Jacksonville, FL) posted an 18-2 record. They won the Ptown Classic Tournament and made it to the championship game in the Cartersville Perfect Game Tournament. Providence lost to nationally ranked Blessed Trinity (GA), 11-8 in the title game. No. 17 Bishop Gorman (Las Vegas, NV) is 12-3 after going 2-2 in the Lions Tournament. The Gaels defeated two top southern California teams in Rancho Bernardo, 4-1 and Cathedral Catholic, 10-2. No. 18 La Cueva (Albquerque, NM) posted a 16-2 record. Of the last nine games, 5 are shutouts and the other four opponents only scored 1 run against the Bears. They have a 16-game winning streak. Coach Gerald Pineda recently won his 200th high school game. He won 35 games as an interim head coach at El Paso CC in 2005. Notre Dame (Sherman Oaks, CA) fell to No. 19 after posting a 13-2 record. The Knights were a consolation winner in the Boras Classic South tournament, going 2-2 and dealing with a couple of key injuries. They defeated West Ranch (CA), 8-4 and Corona Santiago (CA), 1-0. The Knights remain undefeated (6-0) in the Mission League. Calvary Christian Academy (Ft. Lauderdale, FL) dropped to No. 20 with a 19-3 record. Calvary was 3-1 in the National High School Invitational. They beat Hattiesburg (MS) 4-1, Sandra Day O’Connor (AZ) 8-2, lost to Orange Lutheran, 3-2 and beat John Curtis (River Ridge, LA), 1-0. No. 21 is American Heritage (Plantation, FL) with a 16-3 record after going 2-2 in the National High School Invitational. No. 22 Boston College H.S. (Boston, MA) has had its season postponed due to inclement weather. No. 23 Delbarton (Morristown, NJ) opened its season with a 6-2 win over Steinert (NJ) and are 1-0. Other games have been suspended due to the inclement weather. They are the top team in their area rankings. No. 24 Providence (Charlotte, NC) is 13-2 after winning the Queen City Invitational. Pitching remains the strong point for Providence. Timmy Townsend threw a complete game 4-hitter against Ledford for a 4-2 win while Ethan Reese tossed six scoreless innings in a shutout over Weddington, 8-0. The tournament MVP was CF Patrick Bloomingburg who hit .714. No. 25 Kokomo (IN) has not started its season yet due to inclement weather. No. 26 Parkview (Lilburn, GA) is 20-4 and 6-0 in region play. During a recent spring break trip, Parkview won three games against Florida teams — Venice 4-2, Sarasota 7-3 and Tampa Jesuit 7-1. No. 27 Harvard-Westlake (Studio City, CA) posted a 13-3 record after going 3-1 in the Boras Classic South tournament. Pitching has been a strength for the team. Sam Hliboki tossed a complete game in a 1-0 win over Santiago (CA). He allowed 5 hits and struck out 7. Jack Limongelli allowed just three hits in a 3-0 victory over Orange Lutheran (CA). No. 28 Puyallup (WA) kicked off its season with a 12-0 record. They outscored opponents, 90-16. No. 29 Jackson (Massillon, OH) has not started yet. No. 30 Malvern Prep (Malvern, PA) is 10-3 to start the season. On a spring trip to Florida, Malvern posted an 8-2 record. Teams that fell out of the poll include Cathedral Catholic (CA) 8-4, Elk Grove (CA) 4-2-2, Basic (NV) 15-3, Southlake Carroll (TX) 19-5, Gulfport (MS) 18-4, El Toro (CA) 11-4-1, and Cypress Ranch (TX) 19-4-2. Teams to watch include Saline (MI) 0-0, Orange Lutheran (CA) 10-4, Captain Shreve (LA) 21-2, and Arcadia (CA) 14-0. 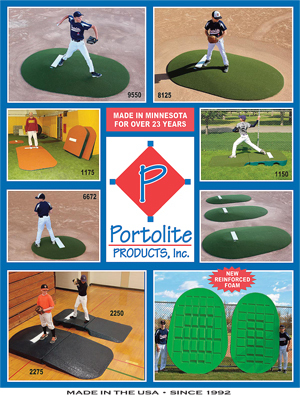 For more information on the high school poll and high school information across the USA, check out the April 20, 2018 edition of Collegiate Baseball. 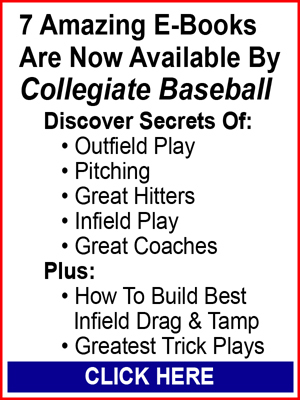 You can subscribe or purchase a single copy of Collegiate Baseball by CLICKING HERE.